Hi Folks, sorry it's been a while (again). One of the reasons for this is that I am now without a laptop. 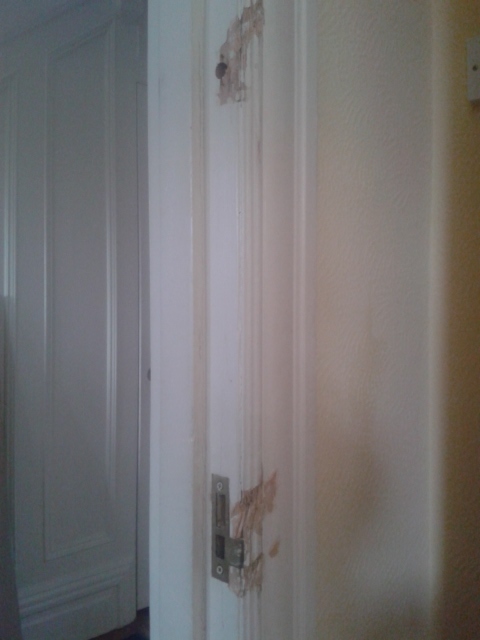 A couple of charming individuals did this to our dining room door, having slid open the half-painted sash that was without a lock. They got a really good haul of all our electrical goods and even carted off my son's little home safe which he used to store his sweets in. Lack of intelligence prompted them to use Mr Magpie's cards in two different cashpoints which had cameras on them and a car that was registered to their address. When the house was raided four days later our goods were long gone but other people's were found. A letter written to my son from his cousin (which had been in the safe) was also found, as was the tool that made the charming marks in our woodwork. This evidence was enough to charge a man with and he is now on bail pending a court date in the new year. We are now waiting anxiously to see whether the insurance company will settle our claim since the window was unlocked (the lock had been removed for painting) even though the inner door was double locked. Mr Magpie had a busy weekend after the robbery securing the house once more and adding window restricters and an alarm. I took the children up t'north to see family and we had a lovely time before coming back for our camper van adventure. We have owned our old T4 Van for about six years now and although we have added (and removed, and added) seats to it it has essentially been a builders van, very useful whilst we have been renovating the house and also handy for transporting off-road motorbikes. It is also brilliant for camping since we would never fit all we take in the car. I was however very envious of my friend and her old VW in the summer when we went camping. She pulled up, hopped into the back and put the kettle on. I pulled up, had to unload all our gear and then spend at least two hours setting up camp. Mr Magpie had been eyeing up camper vans for a while and spent much of his time at Larmer Tree sussing out the various options. We have been thinking of upgrading our T4 to a T5 so decided to hire one in half term to try it out. We weren't disappointed. Since we didn't want to spend hours driving we had a lovely little tour of the West Country and it was just what we needed. The van was toasty warm at night thanks to the heater and it was fab for the days out too since we could provide our own hot snacks, drinks and warm seating area. This was particularly welcome at Stonehenge where the wind was whistling across Salisbury Plain. We hired our van from here and thought the service was excellent. Although the owner is selling one of his vans, the £34,000 price tag is slightly over our budget so we will be looking for an ordinary van and 'pimping' it ourselves. I would love to hear if any of you have any camper van tales to tell or wisdom to impart. Finally the cake you were promised. 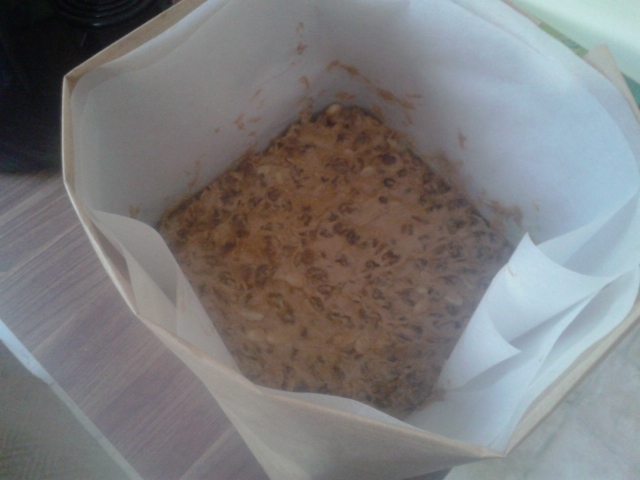 I can't show you a true 'ta-dah' since it is still in the oven and will be for at least another three hours, but it is that time of year again. I love making my own Christmas cake and in doing so I give myself the metaphorical kick up the backside needed to kick-start our annual preparations. 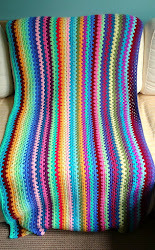 They are on hold for one more week though as this weekend I will be having a stall at Karen's lovely fair, so I have got a little bit of sewing to do. I am looking forward to catching up with Karen, as well as some other blog land friends like Katherine. 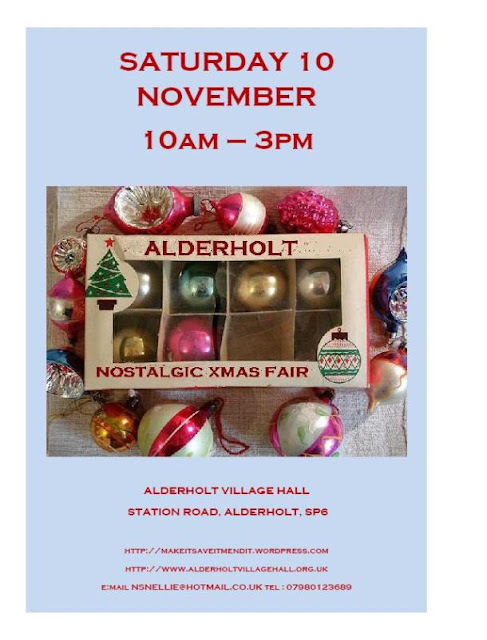 If you can make it to Alderholt on Saturday I'm sure you won't be disappointed, Karen did a fantastic job last time and always has a great mix of stalls and entertainment. Make sure you come and say hello! My thoughts on the criminal/s are not repeatable in polite company, but it sounds like you reacted swiftly and intelligently, and helped to get the dimwits off the streets. I am so glad you enjoyed your trip, I dream of a camper van too! There's always some toe-rag who wants what you've got. grrrrrrr. Love the van, but maybe a bit pricey. How awful for you and the children, that makes me feel so angry! I really hope everything comes out in the wash with the insurance company and that your children haven't been upset by it all. It sounds as if the camper van break was the perfect getaway, I've always liked the idea myself.